Scripts are bound by some of the strictest formatting guidelines of any written medium. Think of them like legal documents – discrepancies can render them inadmissible. Coverage readers (the people who review spec scripts that are submitted to production companies) are likely to toss a script in the garbage if there’s spelling or grammar mistakes on the first page. You can imagine what they’d think of an improperly formatted scene heading. Screenplay formatting is not arbitrary. Scripts as we read them today a product of decades of development and fine tuning. The objective of screenplay formatting is to ensure that the information that is critical to conceptualizing how the film will be shot is displayed prominently and clearly on the page, as well as making the content of your story easy to parse and isolate for editing. Purchase a sturdy typewriter, multiple ink ribbons, and a large quantity of 20lb bond 8 1/2″ x 11″ white paper, 3 hole punched. Practice manually adjusting your margins so that shot headings are 1.7″ from the left margin, dialogue is 2.7″ from the left margin, and that character names are ALWAYS 4.1″ from the left margin. Don’t forget to manually add page numbers at the top right corner of each page (7.2″ from the left margin and 0.5″ below the top of the page). Also, you’ll have to load in a new page every 60 lines. With a lot of practice, you will be able to do all this quickly and with only moderate damage to your carpal tunnels. 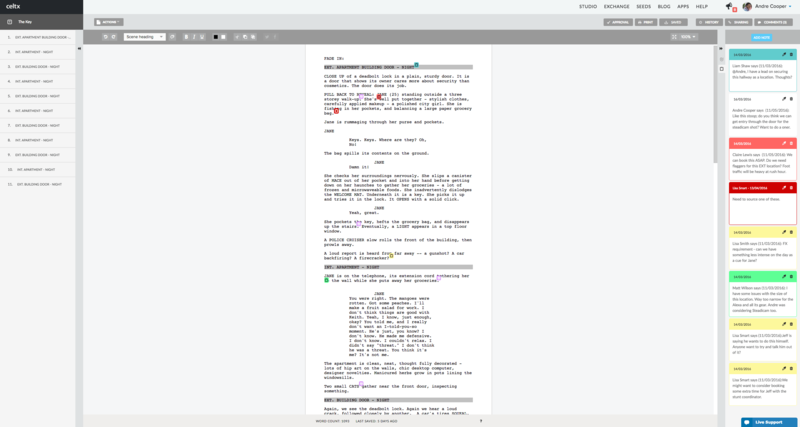 Celtx’s is fully featured, free, and integrated with a suite of planning tools that make writing, editing, and expanding your script into a production a fast and fluid process. Celtx’s script editor handles the formatting automatically, and will intuitively guide you to the next logical element position on the page. However, just because something is done automatically doesn’t mean that it’s not worth understanding. It’s crucial to know what each formatting element means, and understand how they can be manipulated to write more complex scenes. 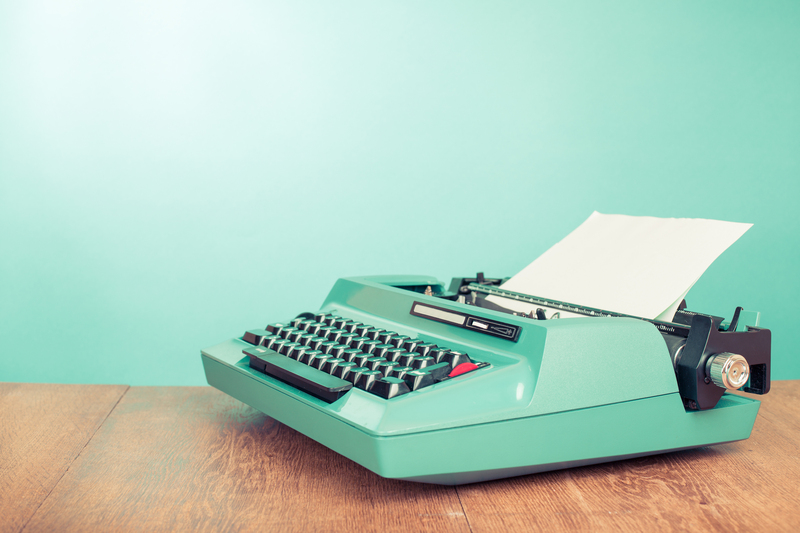 The following will break down the basics and show you a few different alternative approaches that you can use to make your script read properly. Scene headings denote the time and place where a scene takes place. The first part of a scene heading specifies whether it is inside our outside, written as ‘INT’. or ‘EXT.’ (Interior or Exterior). If a scene is taking place both inside and outside, you can write ‘INT. / EXT.’. The second part of your scene heading will refer to the setting – a house, a plane, a farm, whatever. Just make sure its capitalized. The third part will specify time of day, usually in relation to the prevailing lighting conditions that you envision. ‘DAY’ and ‘NIGHT’ are the most common, but you can use more specific words, i.e. ‘AFTERNOON’ or ‘DUSK’. A common method of being more specific with your shot lines is to use phrases like ‘ANGLE ON‘ or ‘CLOSE ON’ to preface the subject of the shot. Avoid using too many articles in your shot descriptions – try to make them as short as possible. 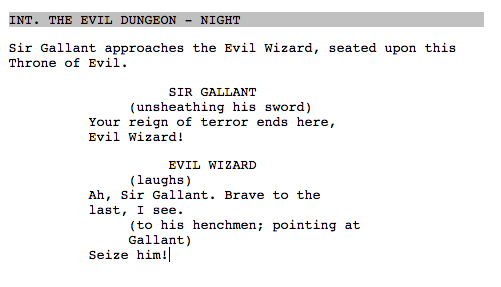 The meat of your script, action describes everything that is happening within a scene outside of dialog. Action is written in standard paragraphical format, albeit with a few quirks. The most important quirks are the rules surrounding capitalization. There are three things that, as a rule, should always be capitalized in a piece of action: the initial appearance of a character with dialogue, sound effects (and, if present, the objects producing the sound), and camera directions. Remember, there’s much more to screenplay formatting than is described here, but these basics provide a solid foundation. The best way to study the full complexity of formatting is to read some scripts yourselves. The Black List’s official blog currently hosts some great resources in this department, including the most recent round of nominated screenplays from the 2016 Oscars.